Leadership Through Food - Are you a Cowboy Chef? In the last few months I have worked with some amazing companies through their leadership teams. The briefs were based on the group’s willingness to exceed their expectations and to learn how to work as a team in a unique environment. Cooking with very strong leaders is, as you can imagine, a bit daunting sometimes as many want to be the sous chef, some want to just stand back and most want to be the star attraction, i.e. the Celebrity Chef. Taking all the tools of the kitchen and using these to engage the teams is necessary to get the best results. Listening is vital for our events to work to the clients advantage, i.e. cooking good food with the least stress possible. As I tell our groups, “if you listen, then it will work out with an amazing outcome”, but if you don’t listen, then, well… it will be “interesting”. I find that strong leaders actually listen very carefully, some even take notes on their iPhones, others are already planning their next move. The cowboy chefs, as I call them, are the ones who stand back saying “I can do this”, and then wing it; they sometimes produce great results and sometimes not. So as a leader, do I stop the cowboy chefs or let them ride? Don’t we need these creative thinkers, these cowboys, sometimes to “stir things up” so to speak? I think so. This is one of the things I love about what I do. I get to watch leaders in action, watch them get everything in its place (mise en place) first and then begin the process, keeping a firm grip on time, as this is essential in cooking, and then create amazing outcomes with unique presentation skills and elaborate table arrangements. Sometimes they even try to fold the serviettes into Sydney Opera House shapes. That is always a fun thing to watch. Through the team building cooking experience you can see leaders in action, see who jumps in eager to go and who stands back thinking of how to get to the result in a more say spontaneous way. 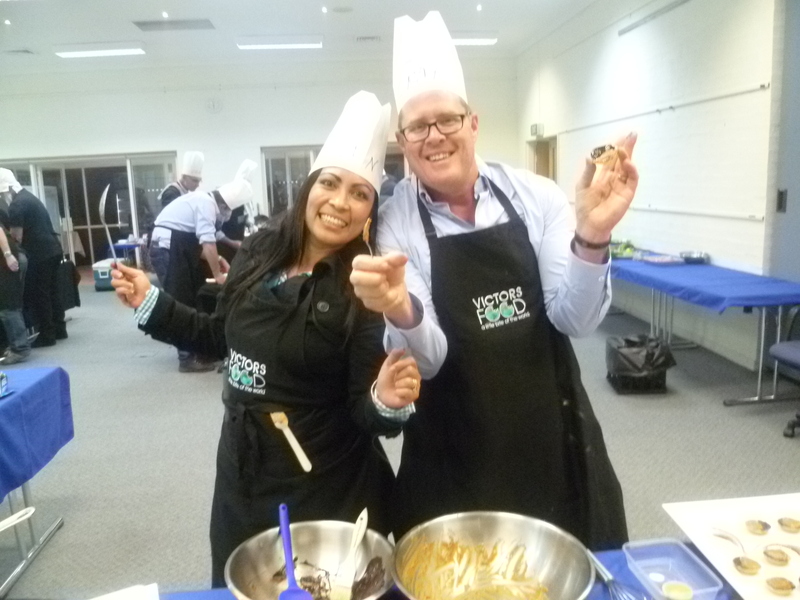 Interactive cooking events bring the best out in people, always a smile, always engaged and always working together. That is what makes a great team. Have you worked with any “Cowboy Chefs”? Are they good or bad leaders?